A prolific and well documented writer and historian on consciousness, the occult, philosophy, the esoteric, phenomenology, magic, spirituality… With the coolest past (and present). 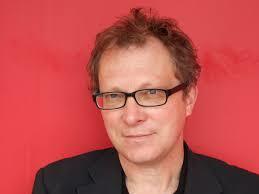 Gary Lachman is also one of the founding members of Blondie and its base guitarist. He has recently published Beyond the Robot, The life and work of Colin Wilson. A must! Nicolas Tredell is a freelance writer and formerly taught Literature, Film, Drama and Cultural Studies at the University of Sussex, UK. He is the series editor of Palgrave Macmillan’s Readers’ Guides to Essential Criticism series. His tally of published work includes twenty books and over 350 essays, articles and reviews. 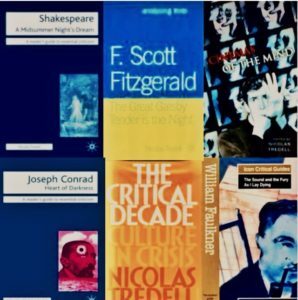 A reference for Colin Wilson’s work and the themes he wrote about managed by Philip Coulthard. 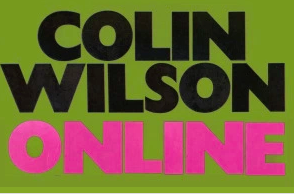 Interviews, articles, news and a very complete information about Colin Wilson’s work. Geoff Ward, writer, poet, musician. Founder of Colin Wilson World. ‘Religion and the Rebel’, Colin Wilson’s compelling sequel to ‘The Outsider’, is his seminal work on the development of ‘visionary consciousness’, the subject which became his lifelong key preoccupation: the ‘Outsider problem’ – how to learn the mental disciplines by which we can raise ourselves into states of mystical perception leading to self-transformation. Wilson’s original title for ‘Religion and the Rebel’ was ‘Spiritual Reformers’, perhaps a more descriptive and appealing title for readers today, 60 years on from when the book was first published. In it, Wilson explores his Outsider concept more deeply and at the same time tackles the related historical problem – surely even more pressing today than in the 1950s – of the decline of civilisations. He says civilisations collapse when they lose control over their own complexity, and they start to lose control as soon as they begin to think in materialist categories because, ultimately, ‘all power is spiritual power’, the vital sense that keeps us healthy. Thus the problems of western civilisation cannot be solved by materialism but only on an Outsider basis: ‘The Outsider is the key to the decline of the West,’ Wilson states. But it is no longer just the Outsider problem – the ultimate metaphysical issue of the unreality of life – but also the practical problem of modern society. The West’s tradition of over-emphasising the intellect goes back to the Renaissance, but Wilson’s message – increasingly urgent in today’s troubled times – is that there is a parallel tradition to be revived: a spiritual, or existentialist, one capable of influencing human nature and destiny, and pulling us back from ‘the edge of a last decline’. Paupers’ Press has a very interesting catalog of studies about Colin Wilson’s work as well as Colin Wilson’s books. Colin Stanley is the Managing Editor of Paupers’ Press. He is Wilson’s bibliographer and author of Colin Wilson’s ‘Outsider Cycle’: a guide for students; Colin Wilson’s ‘Occult Trilogy’: a guide for students, Colin Wilson’s Existential Criticism: a guide for students; and An Evolutionary Leap: Colin Wilson and Psychology. The University has recently acquired a collection of the work of the English philosopher/author Colin Wilson. The collection comes from Wilson’s bibliographer Colin Stanley [1952- ]. A website (and an Institute) dedicated to the works and philosophy of Ayn Rand. Her philosophy that she called Objectivism is in her own words: “My philosophy, in essence, is the concept of man as a heroic being, with his own happiness as the moral purpose of his life, with productive achievement as his noblest activity, and reason as his only absolute.” We just love it! 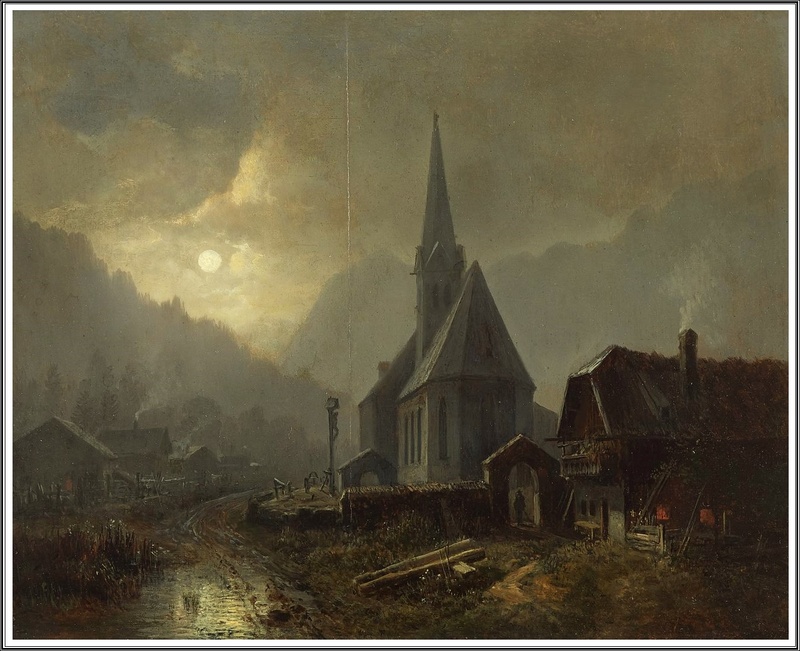 A beautiful and elegant blog in French by a mysterious Prince with a fascinating selection of paintings. The Romantic and Symbolist sections are just wonderful. A haven of peace and beauty. A “place” to dream away from modernity. 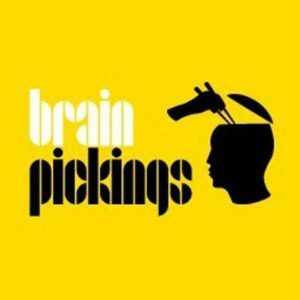 Valancourt Books is an independent small press located in Richmond, VA. Is specialised in the rediscovery of rare, neglected, and out-of-print fiction. It has published several Colin Wilson’s novels. Horror books, Mystery Books, Gothic Books… We love it! 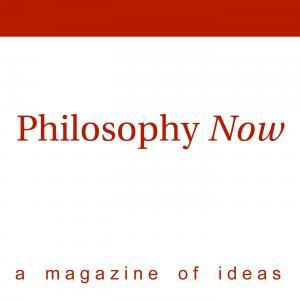 A very interesting source for those who like philosophy. Includes articles about Colin Wilson. Brain Pickings has a free weekly interestingness digest. 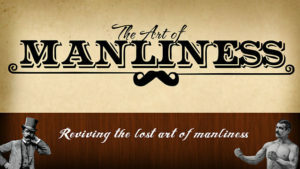 It comes out on Sundays and offers the week’s best articles. One of our favourite pages online. A must for those who want to know what is to be a man. Great values and stimulating articles. An amazing catalog of books in several languages to read on any device by subscription. Like Spotify but for books. Great for book lovers.